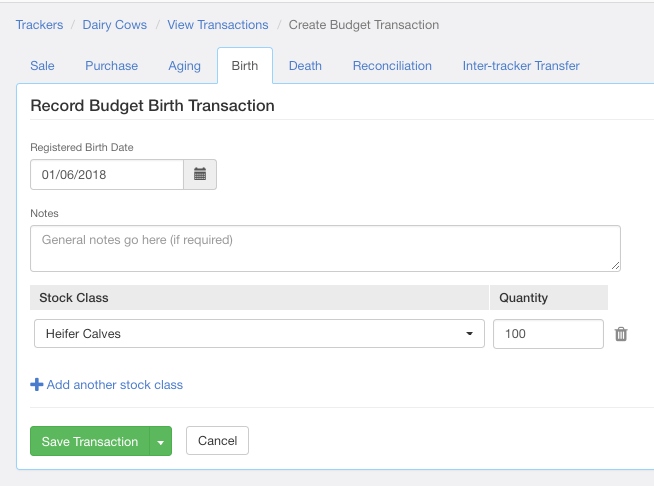 Births, or natural increases, can be entered into your livestock tracker from the main screen of the production tracker. To record a birth, you'll need a date, a stock class, and a quantity. Notes or a description can be added if you wish.